Beekeepers should be members of their local association and new beekeepers should have an experienced mentor to assist and support them. If you wish to consider keeping bees on your allotment, then please check your tenancy agreement and consult your landlord. Self managed sites may want to consider using a vacant or hard to let plot as an apiary, where a group of beekeepers can keep their hives. It is well worth taking the time to site the apiary in the right place. Hives are best sited away from other plot holders, paths and public roads. The bees should be encouraged to fly over high hedges, fences or 2m screens around the hives, especially if their flight path crosses a footpath. Contact details for the beekeeper must be displayed on site. If you are an allotment bee-keeper and concerned about insecticides being sprayed by local farmers, why not sign up to BeeConnected An on-line tool that brings farmers and beekeepers together, keeping beekeepers notified when a neighbouring farmer is applying insecticides to their crops. 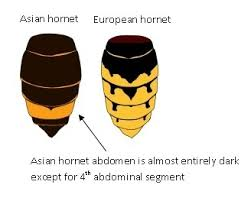 The British Beekeeping Association BBKA are organising an Asian Hornet Week, 10th -16th September 2018, to encourage all beekeepers to be able to identify an Asian Hornet and to look out for Asian Hornets at their apiaries for at least an hour at intervals during fine weather. This is in order to see whether their bees are being attacked, in the hope that beekeepers will continue this activity through the autumn. As the potential establishment of Asian Hornets in the UK would have devastating effects on all other beneficial pollinators, the BBKA have contacted various national entomological, wild life and educational groups for additional support, to suggest that their members also participate in Asian Hornet Week by monitoring autumn flowering plants for Asian Hornets hawking for insects. Click here to go to the BBKA website Asian Hornet Week page. Other pollinators - insect pollinators of crops and wild plants are threatened by land-use intensification (including habitat destruction and pesticide use), the spread of pests and diseases and climate change. 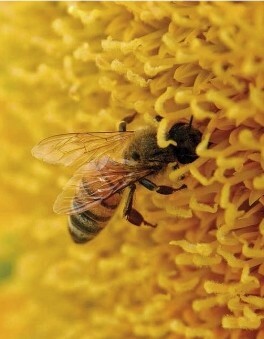 It is feared that two thirds of pollinators are in marked decline and that 25% are threatened with extinction. Six species of bumblebees have declined by 80% in the last 50 years and 2 species have become extinct since the beginning of this century; while the twentieth century saw the extinction of 4 British butterflies and 60 species of moth. Click here to read about how pollinators are important for your plot and what you can do to protect them.